Chances are you have heard about the international showdown that took place this summer between Argentina and a group of New York based hedge funds. 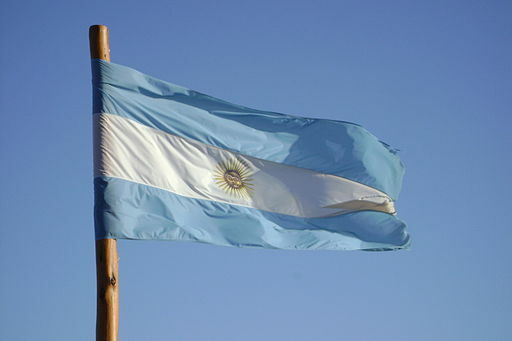 The dispute can be traced back to 2001 when Argentina, overwhelmed by its sovereign debt burden, defaulted on payments to bondholders. Argentina attempted to restructure its financial obligations in 2005, however, its efforts were frustrated by the group of funds, who held out on any deal that provided for less than full repayment of $1.5 billion. The hedge funds had bought the defaulted bonds at a heavily discounted rate – the bonds were likely purchased below their face value of $170 million – and stood to make a windfall if paid in full. For many, it was the first time hearing the term “vulture fund.” Vultures buy different types of distressed securities, such as corporate bonds or secured creditor claims, at highly discounted rates, and attempt to collect on the full value of their investment, usually through litigation. While some funds invest in sovereign debt, other funds will concentrate on corporate reorganizations governed by Chapter 11 of the bankruptcy code. Before Argentina defaulted in August, a much less publicized case was decided in the Delaware Bankruptcy Court that could have a significant impact on vulture fund behavior. The case involved a bankrupt Chinese hybrid car company, Fisker Automotive, and a hedge fund called Hybrid Tech Holdings. Hybrid had bought a $168 million secured loan on Fisker’s assets from the Department of Energy for only $25 million. The court held that Hyrbrid could not credit-bid the entire value of the $168 million secured loan during a 363(b) auction sale of the bankrupt company’s assets. The court’s reasoning was that the auction would be “frozen” if Hybrid Tech were allowed to credit-bid the entire amount of its claim since other creditors would be unable to make competitive bids for Fisker’s assets. Why is this decision significant? Without credit-bidding, vulture funds may have a difficult time profiting from their investments in situations where they hope to use credit-bidding to acquire a debtor’s assets in a Section 363(b) sale. Section 363(b) of the bankruptcy code permits a debtor to sell some or all of its assets outside the normal course of business during a Chapter 11 reorganization. Section 363(k) allows secured creditors to use the value of their claim as credit in purchasing a debtor’s assets during a 363(b) sale. While credit-bidding was originally intended to protect secured creditors, it has been used as an offensive weapon by vulture funds aiming to profit off of secured debt acquired at discounted rates. Section 363(k)(b), however, allows bankruptcy courts to limit or eliminate the right to credit bid for cause. In Fisker, the bankruptcy court saw an uncompetitive auction as being enough cause to limit the amount Hybrid could credit-bid. While the Fisker decision has no precedential power, the reasoning used by Bankruptcy Judge Kevin Gross has already manifested in subsequent cases. For instance, in Free Lance-Star DSP Acquisition, LLC, a hedge fund, was denied the right to credit-bid on all of a bankrupt company’s assets during a 363(b) sale. On appeal, the United States District Court for the Eastern District of Virginia heavily relied on Fisker to deny the motion. The ability of a bankruptcy court to cap credit-bidding has the potential to change the bargaining dynamic present in corporate reorganizations. One of the reasons why secured creditors prefer a 363(b) sale is because of their ability to credit bid. Junior creditors, however, typically favor a traditional reorganization that does not involve a 363(b) sale, as this usually allows them to recover the most value from their claim. In instances where a vulture fund is considering buying the claim of a secured creditor and using credit bidding as a means of acquiring the debtor’s assets, junior creditors may be able to fend off the vulture if they can make a strong case that the auction will become uncompetitive. Vulture funds will need to strongly consider the position of junior creditors before going through with the purchase of their investment. Thus, junior creditors may be provided with added leverage in the bankruptcy bargaining dynamic. Putting a cap on credit-bidding has the potential to curtail the involvement of vulture funds in corporate reorganizations. Many who see vulture funds as out to make a quick buck, and even disruptive to the reorganization process because their goal is to come away with a profit, which does not align perfectly with the goal of corporate reorganizations – deciding how to allocate the difference between the liquidation value of a company from its going concern value – may see this as a good thing. Vulture funds, however, provide liquidity to creditors who do not want to be involved in a drawn out reorganization, speed along the bankruptcy process (the longer the bankruptcy takes, the higher administrative expenses will be and less likelihood of a profit) and can provide industry, operating, and legal expertise – especially if the fund plans on taking an active role in business after a successful purchase of a company’s assets. Limiting vulture fund involvement may prove to be detrimental. Vulture funds have facilitated many businesses emerging from bankruptcy leaner and more profitable. Now is an interesting time to home in on bankruptcy cases where credit-bidding is a focal point, as it is likely that a big decision will soon resolve many of the questions the Fisker court left open.